Norman passed away on the afternoon of Monday August 21, 2017 at The Cross Cancer Institute after a long fight with cancer. He was born in Rocky Mountain House and was the youngest son of Arnold and Elizabeth (Mairt) Sande. Norman spent his youth growing up in Jasper and that is where he met his loving wife Dorothy, as children. Norman attended College Militaire Royale de Saint-Jean and was, unfortunately defeated by Physics, (thankfully, Norman never taught Physics!). Norm married Dorothy (Hall) in September 1958, and graduated from the University of Alberta (1961) with his BA Education degree followed by his Master’s Degree in 1970. 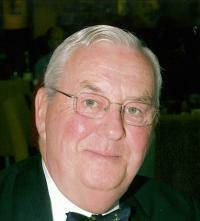 During his 35 year career with The Edmonton Public School Board, Norman held many Administrative positions and retired in 1994 as Vice Principal at Harry Ainlay Composite High School. Norman was very active with Military and charity groups including RMC Club, Canadian Club and 30 years of proud service to the Military & Hospitaller Order of Saint Lazarus of Jerusalem. He will always be lovingly remembered by his wife Dorothy (Hall) Sande; son Ken (Julie Sturgeon) Sande, son Todd (Lisa Fjerwold) Sande; and four grandchildren Elizabeth (Gareth Worrall) Sande, David (Kassandra Lyttle) Sande, Evan Sande and Nathan Sande; brother Ervin (Judy) Sande; nephew Erik (Christine) Sande; as well as great nephews and nieces. A Celebration of Life will be held at 1:00 pm on Tuesday August 29, 2017 at Foster & McGarvey Funeral Home (10011 114 Street, Edmonton). In Lieu of flowers donations can be made in Norman’s name to The Cross Cancer Institute or a charity of ones’ choice.